Sam Johnson was a tall goalkeeper who made his debt in dramatic fashion as he saved two penalties and scored the winner in a Football League Trophy win over Walsall. Released Port Vale goalkeeper Sam Johnson has joined FC Halifax Town on a two-year contract. 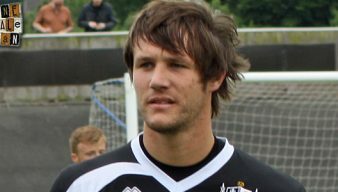 Port Vale keeper Sam Johnson was in goal as AFC Halifax Town sealed promotion to the National League at the weekend. Just 24 hours after his season-long loan at Gateshead was cancelled by mutual consent, Port Vale goalkeeper Sam Johnson has signed for FC Halifax Town for the rest of the season. Port Vale goalkeeper Sam Johnson’s disappointing loan spell at Gateshead has been brought to a premature end. 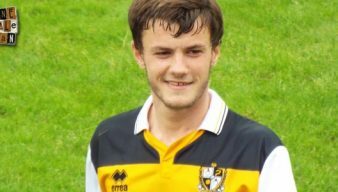 It’s a shorter than usual loanwatch as a number of clubs with Vale loanees were not in action over the weekend. 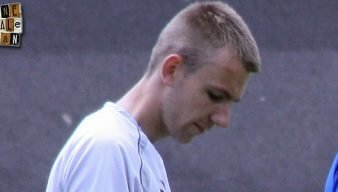 The malaise against Coventry seems to spread to several of Vale’s loanees. Ryan Boot made two uncharacteristic errors while Dan Turner was injured and JJ Hooper and Sam Johnson didn’t even make the starting eleven. 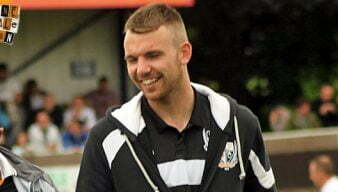 Defender James Gibbons was the only Vale loanee to finish on the winning side while there were four 3-2 scorelines in games involving Vale loanees. Here’s our round-up of how Port Vale’s on-loan players did during the midweek fixtures. Vale keeper Sam Johnson has joined Gateshead on a season-long loan, the non league club has revealed. The Sentinel claim that goalkeeper Sam Johnson could be set for a season-long loan at Gateshead. Port Vale loanee Sam Johnson was in goal as FC Halifax pulled off a shock 1-0 win over Grimsby Town in the FA Trophy final. 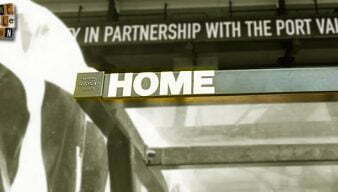 There are two matches of note to Port Vale fans which will be played over this weekend. 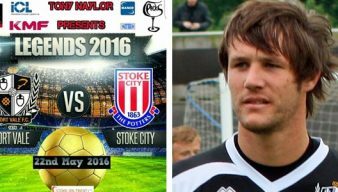 Port Vale goalkeeper Sam Johnson is the only current Vale player who could lift a domestic trophy this season. A round-up of Vale players in loan action as Sam Johnson suffers mixed fortunes at FC Halifax Town. 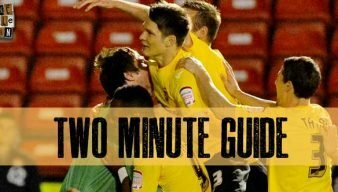 Follow all the action live from the Vale’s latest game on our dedicated forum thread. 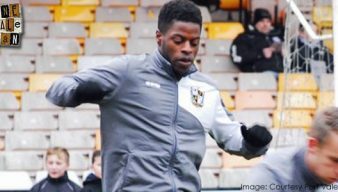 Aziz Deen-Conteh has agreed to leave the club by mutual consent while Sam Johnson and Ryan Lloyd have extended their loan deals.